After several bad breakups, it can be difficult to stay positive. 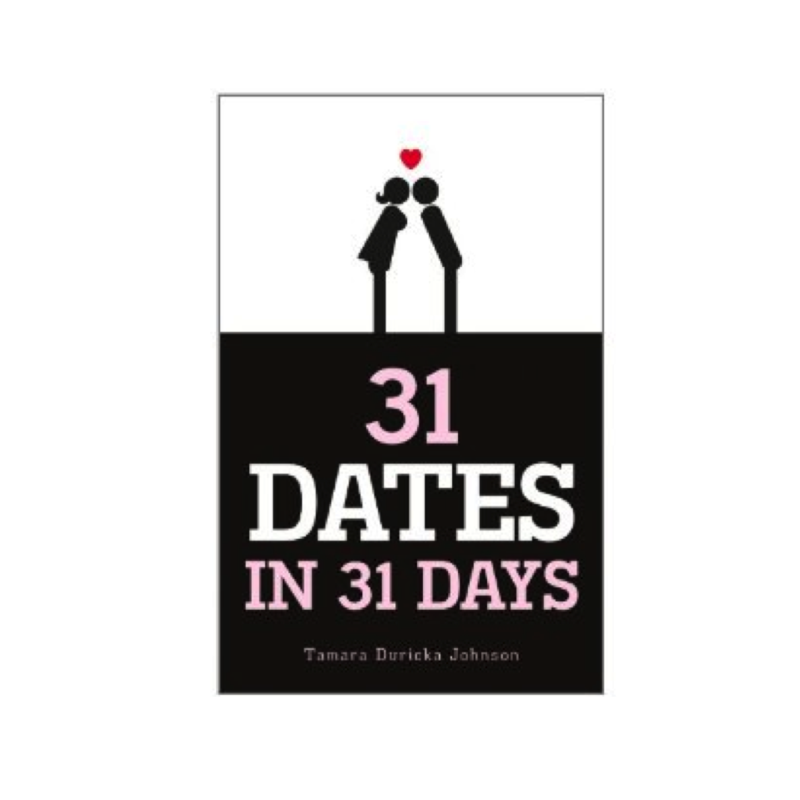 Long-time television producer, Tamara Duricka Johnson proves this in her new memoir, 31 Dates in 31 Days, a heart-warming tale about Johnson’s own experience with finding love. In celebration of her 31st birthday, the author decides to embark on a dating challenge to find romance by going on 31 dates in 31 days. The last date culminates on Valentine’s Day, and is marked with a second date with one of the 30 men. In this fun-filled memoir, Johnson puts her experience to paper and shares the lesson she learned along the way: if you want love, give it away. When you started your project, did you expect to actually find love? Or were you doing it as a learning opportunity? No, I had no intention of finding love or faith that finding love with a carefully calculated project was even realistic. I was in an extremely cynical mode about men and was self-aware enough to realize that I needed to change. I wasn’t sure exactly what I needed to change. All I knew was that I needed to change something. So I figured the project would help me get back to the basics of dating, beginning with first dates. Were you surprised at how much news coverage your project received? Having been a news producer for so long, I could see the lure in a story like mine. I was nervous when the media began showing interest because the project began as a way to improve my poor dating skills and to get over my broken heart. It was a little embarrassing and humbling. But, by that time I had seen how much other people were gaining from my experience, so I knew it was important to share my story. You had a fantastic attitude throughout the book. How important was optimism to your project? Optimism was essential. Around ten dates through, I had a girlfriend tell me that she wanted to hear a little more drama. I told her that this project wasn’t about drama or gossip. I figured if people only wanted to hear the bad stuff about the guys I was going out with then they were missing the point. The book is very personal. Did you have any reservations about sharing the details? OF COURSE! This book basically feels like I’ve published my diary for everyone to see. It shares my vulnerabilities, my insecurities, my embarrassing stories. I had many reservations about sharing my personal details, but I figured if I were going to tell the whole story of what I learned then I needed to share the truth about where I’d been. What inspired you to share your story? Once I started writing the blog, I received some really interesting feedback from people, and not just single women like me. I heard from men, married women, people who weren’t in relationships, heterosexuals and homosexuals. I started to realize that this project was way bigger than I was — and affected more than just me and my 31 dates. As people shared their feedback, it helped me change my outlook on others and life. Not necessarily because I ended up finding love in one man, but because I ended up finding love everywhere. That’s when I started to realize that this was a story that needed to be told. Cupid would like to give a big thanks to author Tamara Duricka Johnson for her time. Check out her new book on Amazon and for more information on Johnson, be sure to visit her website at www.tamaradurickajohnson.com.